Pournami Vratam and Shri Satyanarayana Puja are observed on full moon day and might be observed one day before of Purnima Tithi. It should be noted that Bhadra prevails during first half of Purnima Tithi. Hence one should wait for Bhadra to get over before starting any auspicious work. In North India it is customary to tie Rakhi in the morning which might not be suitable time to do it. The DrikPanchang's team believes that it might be due to ignorance. When such information is easily available one should avoid tying Rakhi during Bhadra. To avoid doing Rakhi ceremony at an inauspicious time it is advisable to check some Panchang like DrikPanchang.com to find the right time to perform it. 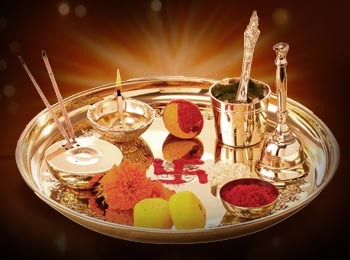 We list all Shubh timings which are available to tie Rakhi for most cities across the globe. In North India full moon day is known as Purnima or Poornima. However in South India full moon day is known as Pournami or Pournima and fasting on this day is known as Pournami Vratam. Pournami Vratam is observed from sunrise to till sighting of the moon. Pournami Fasting days might not be same for two locations. Hence one should set the location before noting down Pournami Vratam dates. Sanskrit Diwas is celebrated to mark the importance of Sanskrit language, the mother of all Indian languages and the first among the ancient languages spoken in India. Sanskrit Diwas is annually observed on the Shravana Purnima day as per Hindu lunar calendar. Sanskrit Diwas is also known as Sanskrit Day. Sanskrit Day was first observed in the year 1969. Various activities, seminar and workshops are organized on the day of Sanskrit Diwas to promote the Vedic language. In current time, the usage of Sanskrit has been limited to only Puja-Patha and academic activities.